Let’s face it, winters in Canada are harsh. While most of us are fortunate enough to have warm homes, not everyone is as lucky. With the winter coming and temperatures dropping rapidly, you may want to help keep the less fortunate warm but don’t really know where to start. We get it, and we are here to help. Without further ado, here are our expert picked tips on building the best winter accessories kits. Don’t forget the absolute necessities like a scarf, toque, hat, sleeping bag, winter jacket, and winter gloves. These winter accessories are specifically designed to keep individuals warm and are crucial to surviving winter in Canada. You are also welcome to add other helpful items like socks, toothbrush and toothpaste, lip balm, body and hand lotion, deodorant, shaving kit, nutritional drinks, energy bars, and a bottle of water. Spread the word – let others know that they can help! Happiness multiplies when shared; you can multiply the happiness of others by getting together with your community and helping together. When you get together with your community to help others, you will realize that your bond with them will get stronger than ever before. What better way to get people together than to help those in need? Don’t forget that there are other ways to help as well! If you are on a low budget, you can always volunteer in charities like Project Winter Survival – which saw more than 3000 Winter Survival Kits assembled and distributed to those in need. Give yourself a pat on the back! You have done something amazing and helped those in need. It’s people like you that make this world a better place. No matter how big or small, know that your good deed is always appreciated and you can be certain that the ripple effect will keep growing. Need help with ideas or deciding what necessities and accessories should be placed in your winter survival kits? 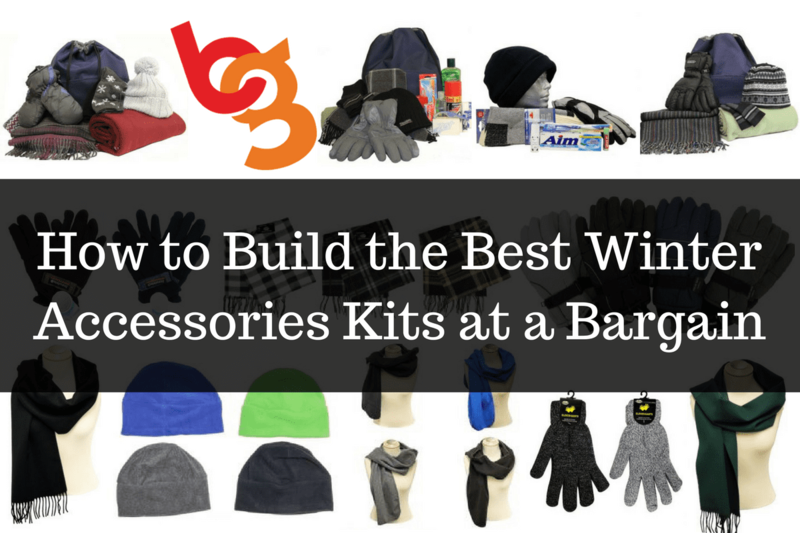 Check out Canada’s favourite wholesale winter accessories supplier, Bargains Group. You can email us at [email protected] or call us toll free at 1-877-868-5655.